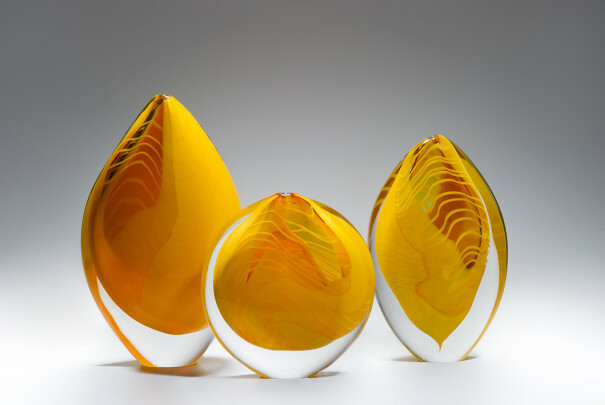 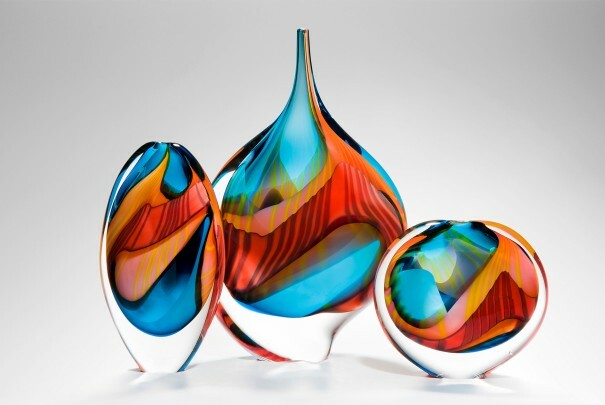 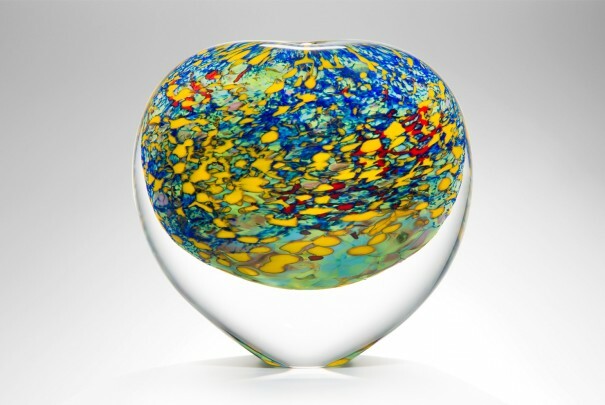 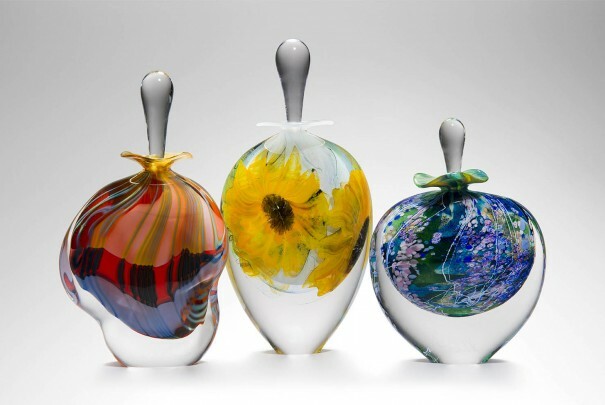 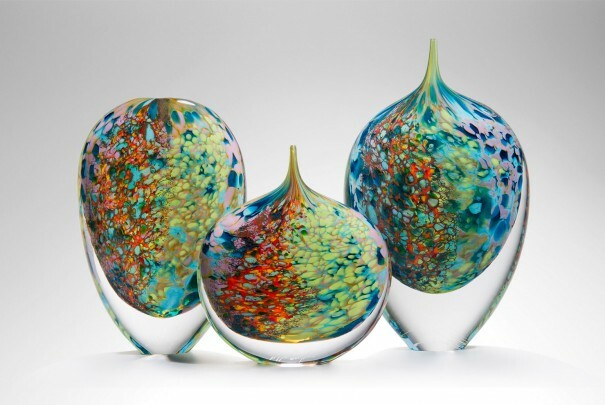 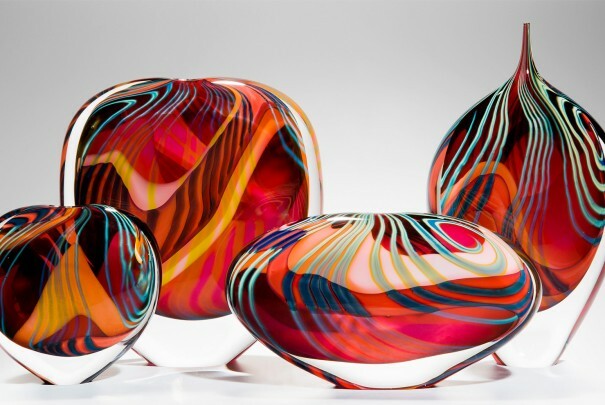 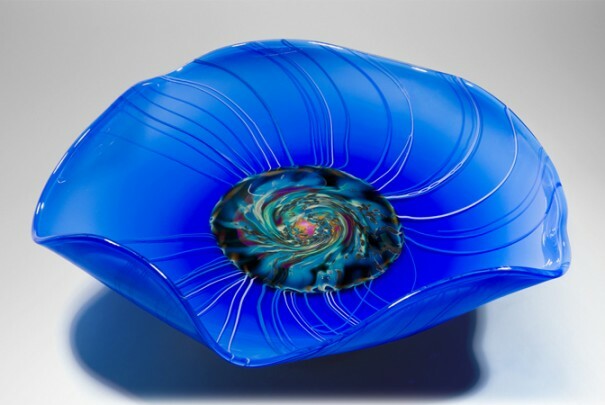 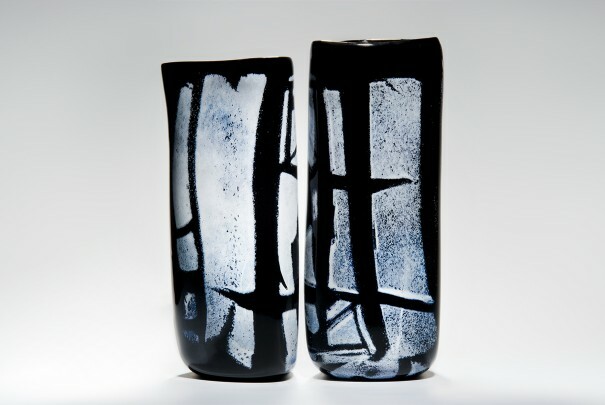 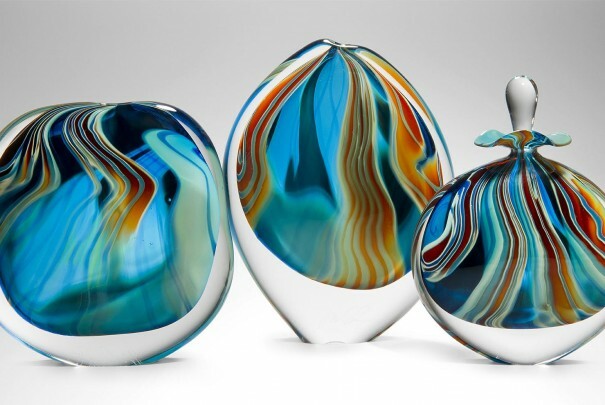 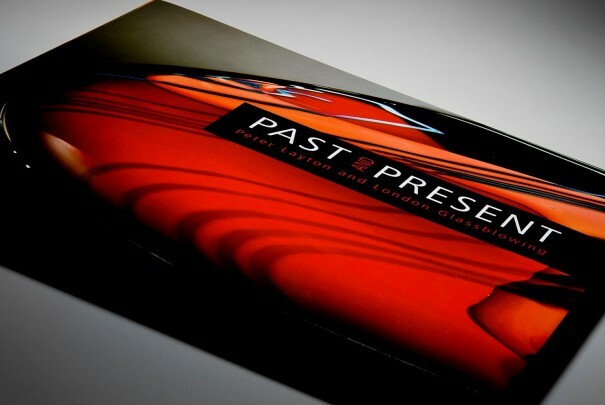 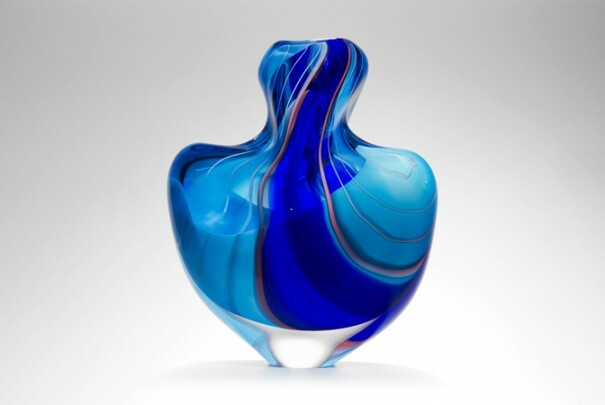 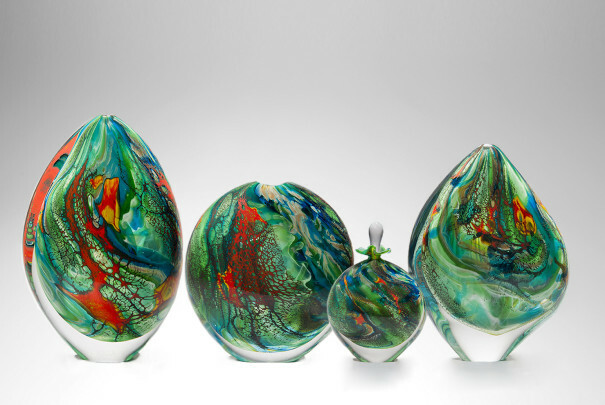 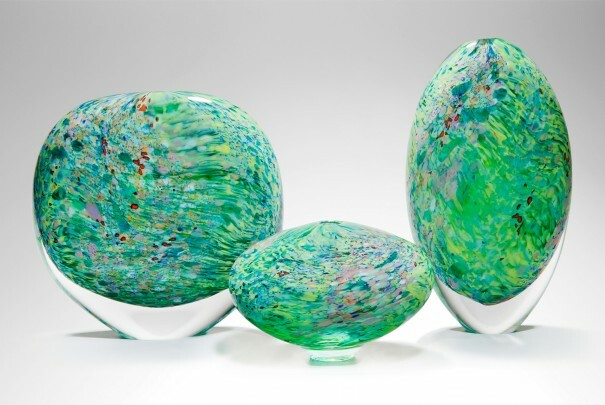 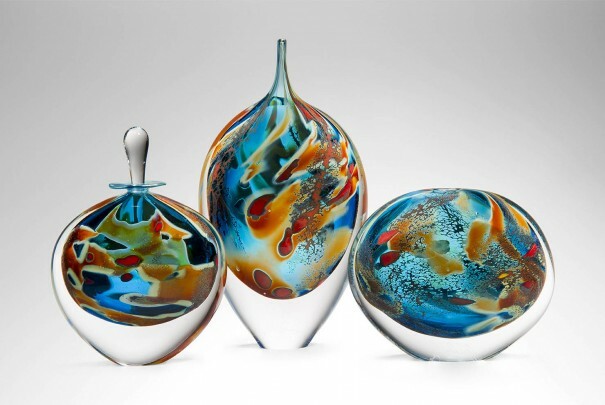 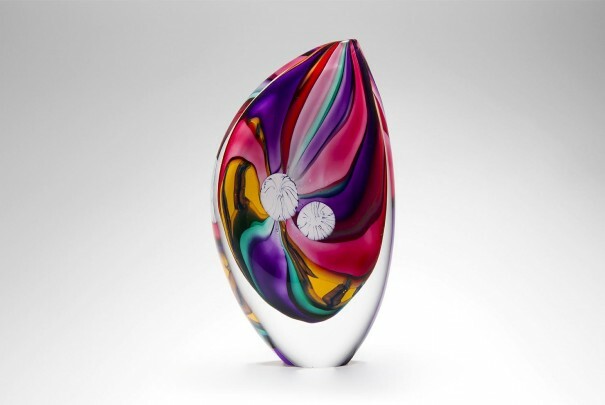 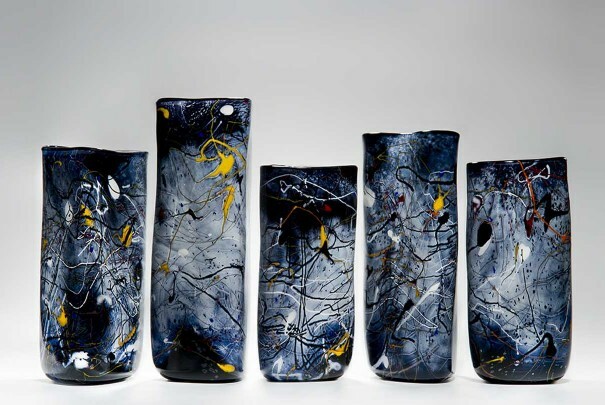 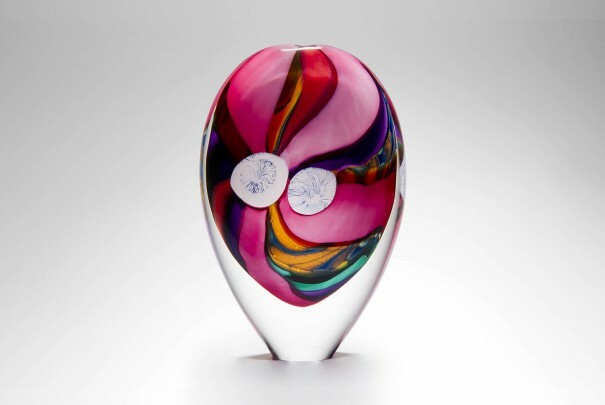 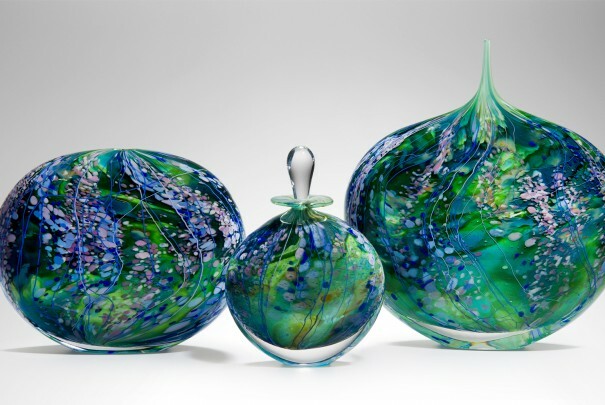 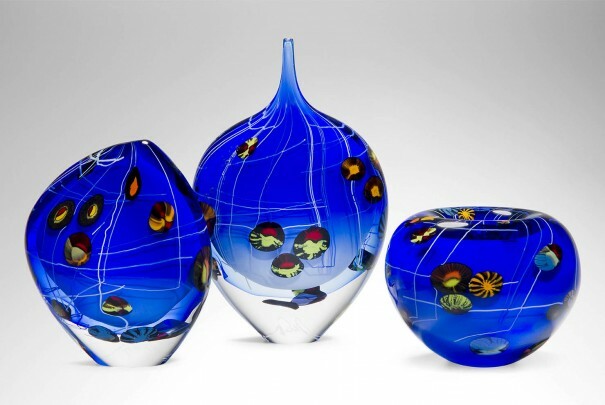 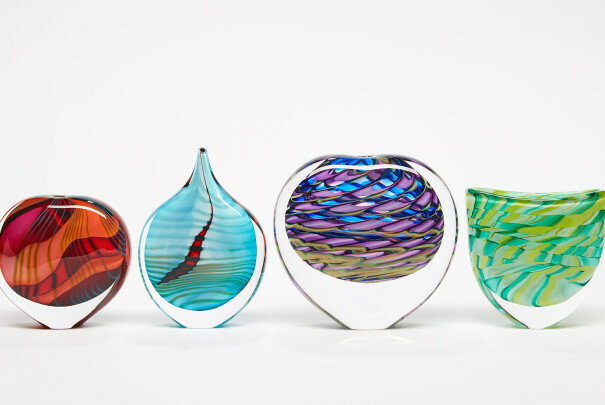 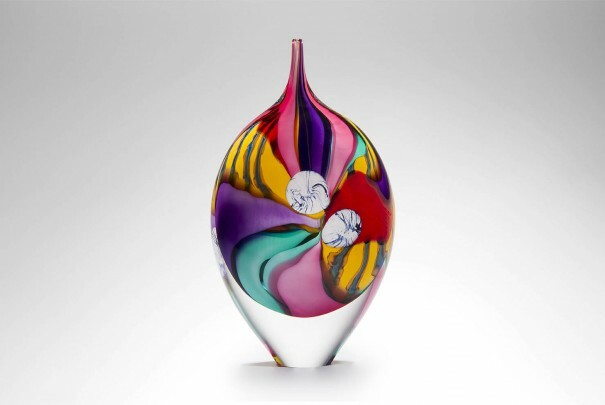 One of Europe’s pre-eminent glass artists, Peter Layton, founded London Glassblowing in 1976. 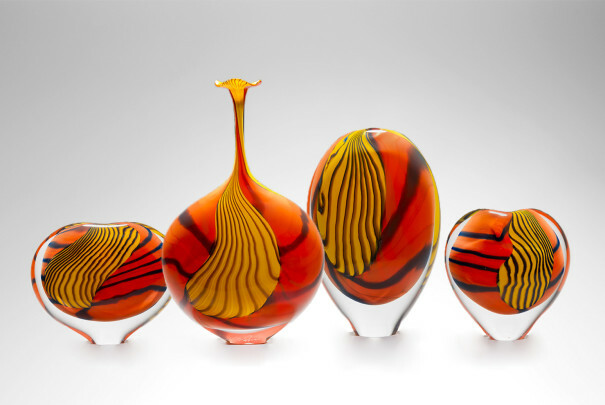 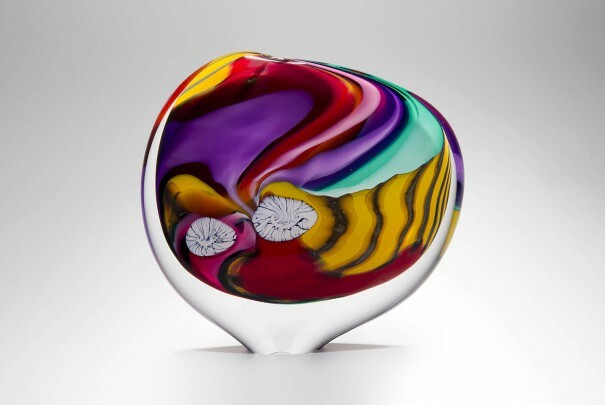 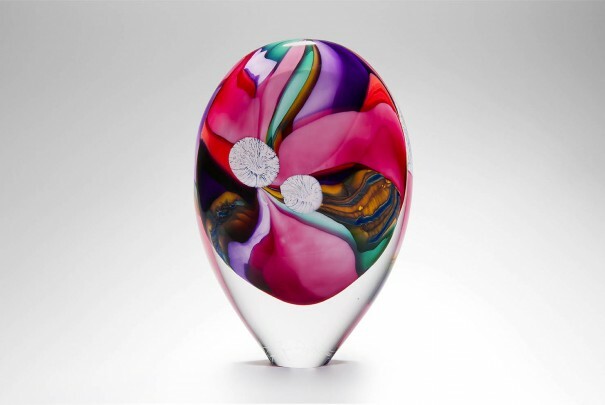 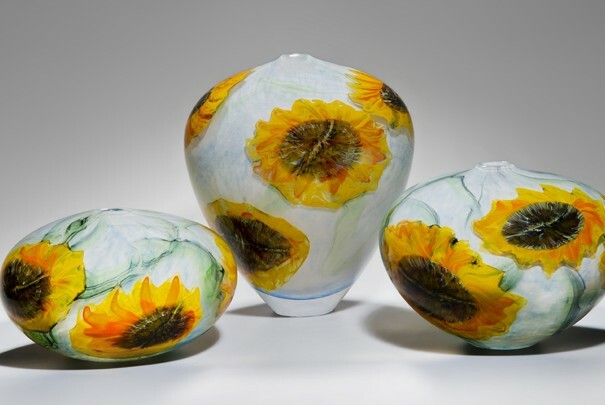 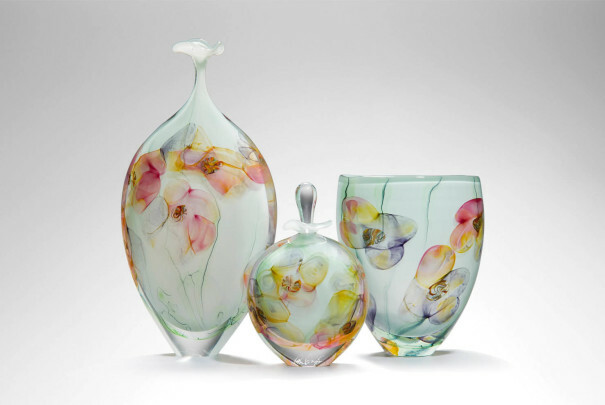 Over its 42 year history, the studio has built a reputation for its flamboyant painterly approach and flair with colour in hot glass. 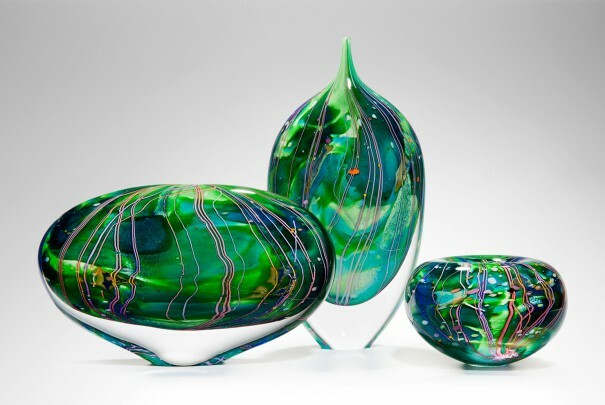 Peter’s newest series, Piccolo, created in spring 2018, is no exception. 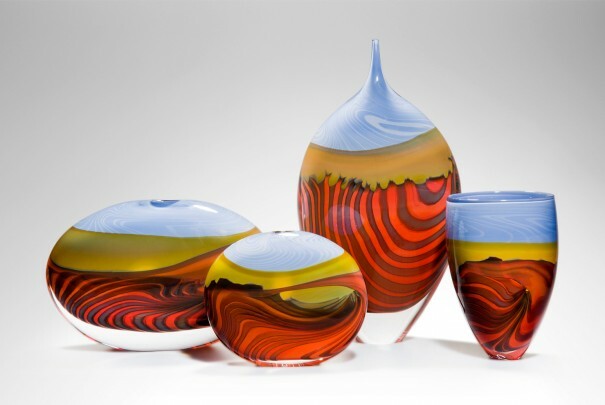 A complex series made up of more than six colours which are applied and beautifully woven together on Layton’s signature flattened form. 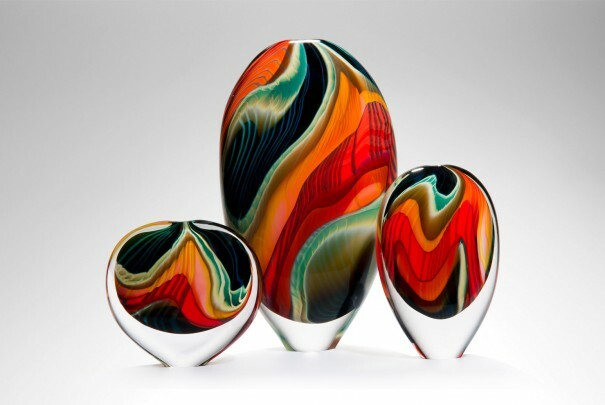 The patterning of each piece varies significantly due to the arduous process of colour application. 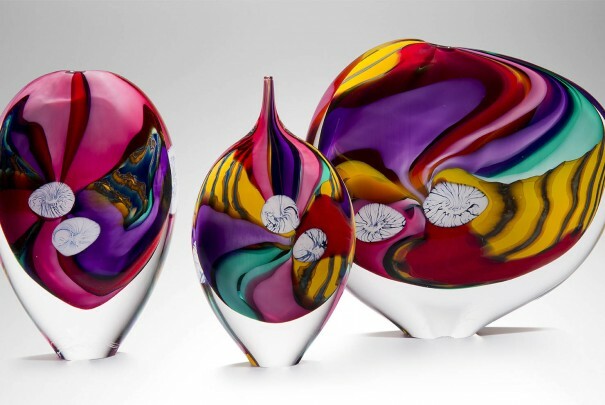 Playing with bright hues of red, pink, purple, yellow, orange, and hints of green, the series has an energy and an enormous verve.